Street Outlaws Memphis star JJ Da Boss Is Complete Family Man-Meet His Wife And Children Here!! Home Article Street Outlaws Memphis star JJ Da Boss Is Complete Family Man-Meet His Wife And Children Here!! Being a street racer and streetcar expert is a dream job but it is not a cup of tea for many, however, JJ Da Boss makes it look very easy. He has been one of the famous names in car racing for many years and when the street racing legend JJ Da Boss takes charge, you can truly expect the craze in the race. Besides his wonderful career, his fans are taking much interest in his personal affairs. He is living a blessed life with his wife for years. Learn details about his married life and children in today's session. JJ Da Boss's Growing Family; His Married Life With Tricia Day; Is The Couple Still Together? Street Outlaws Memphis star JJ Da Boss and his wife Tricia Day have been together for years. Details about how the couple first met and when they got married are still under the shade. Boss has maintained his personal life far from his fans and media but it's pretty sure that his family life is solid. There are no rumors about his divorce or extra-marital affair so we can say that the duo is inseparable. Though Boss is tight-lipped about his family affairs, some sources reported that he has 11 children; yes you read it right! Their family is growing on constantly as they already have five grandchildren as of 2018. His family members occasionally appear on his Instagram posts and we can say that he's truly a family man. #jjdaboss #myprincess #msofamily4life Family matters most!! His family just seems to keep growing and we wish him all the very best for sound family life. 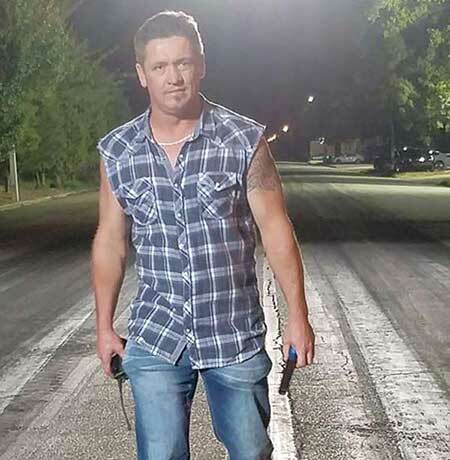 Reality TV personality JJ Da Boss rose to prominence after appearing on the original Discovery Channel series Street Outlaws: Memphis. The show premiered on Discovery on 10th June 2013 with its 10th season running in 2018. He had a keen interest in muscle cars since his childhood days. He was just 10 when he started driving and racing on dirt and gravel roads in Mississippi County. Eventually, he got involved in family business and started trading, buying and selling old cars. He grew up with a group of racers in the street of Memphis. He made some choices in his life that landed him in prison for eight years and a month while the exact reason behind his imprisonment has not been revealed. At present, he is the leader of street racers in Memphis and Arkansas. He is considered as the best talker of the group. Apart from being the reality TV star, he repairs and modifies customers cars and also give tips for the best performance of their vehicle. Born on 10 August 1973 in Memphis, TN. He was raised in a small town in Arkansas called Joiner. He completed graduation from Rivercrest High School in 1992. He has a strong passion for muscle cars since his childhood days. He was involved in a violent car accident in 2017 when he fell asleep behind the GMC Sierra pickup.